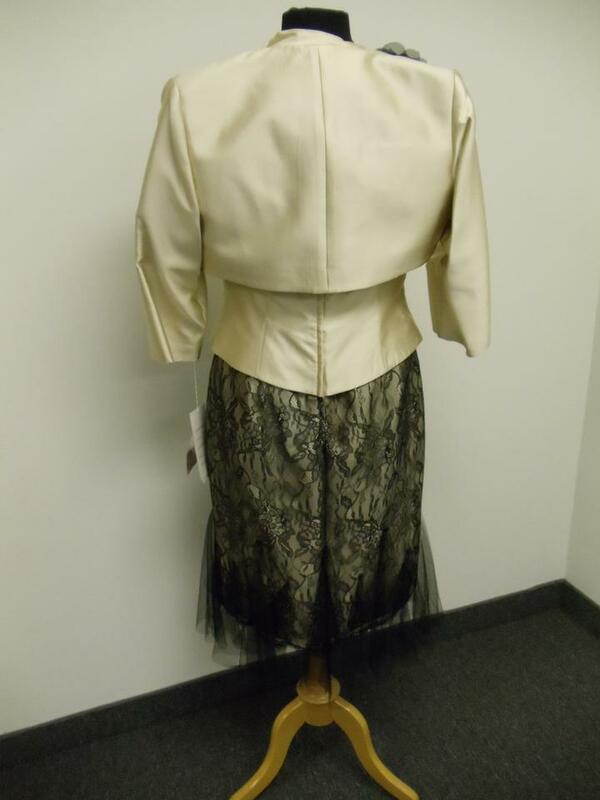 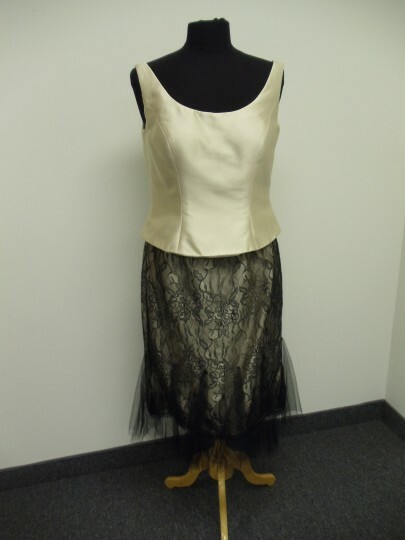 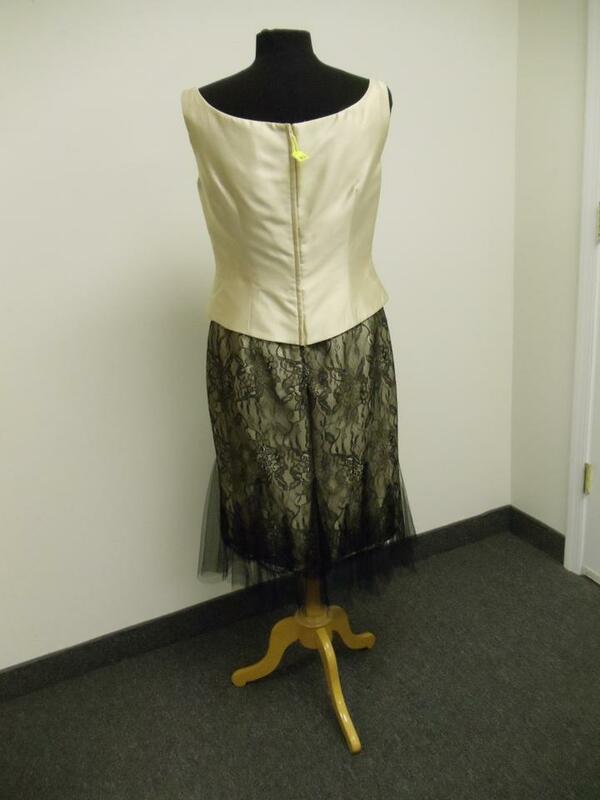 Mock two-piece sleeveless tank dress by Social Occasions by Mon Cheri with zipper back, solid shantung bodice and flared, knee-length lace skirt with ruffled hem. 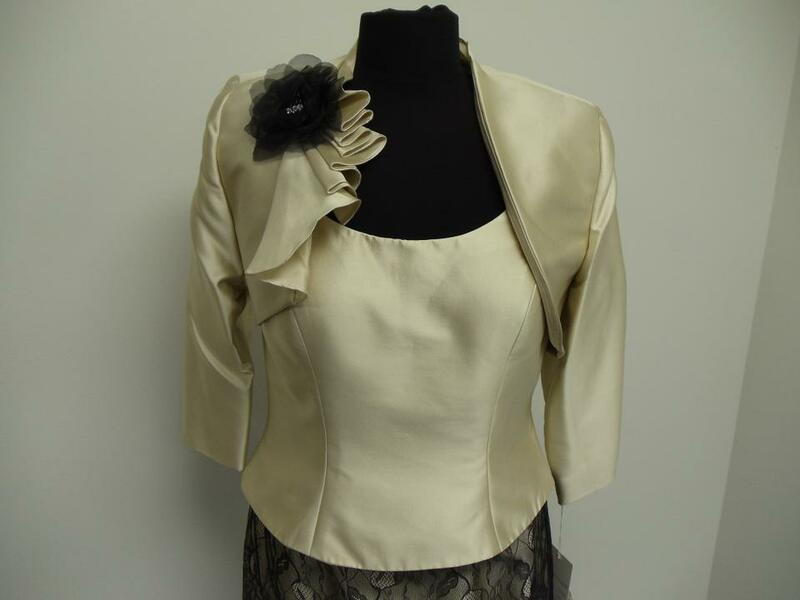 Matching 3/4 sleeve with jacket with flower embellishment. 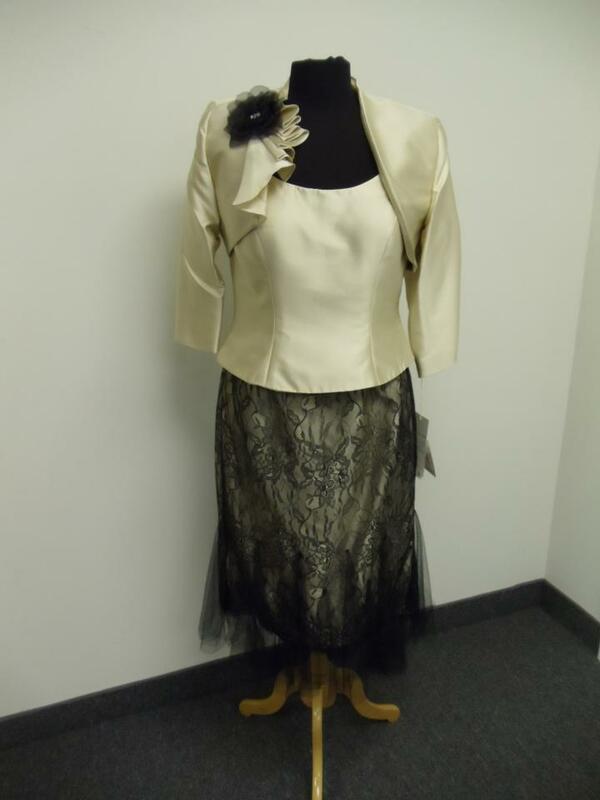 Perfect for a mother of the bride or groom or wedding guest. Sizing - Bust: 36" Waist: 29" Hip: 39"